The BEST Thick & meaty chili recipe out there! 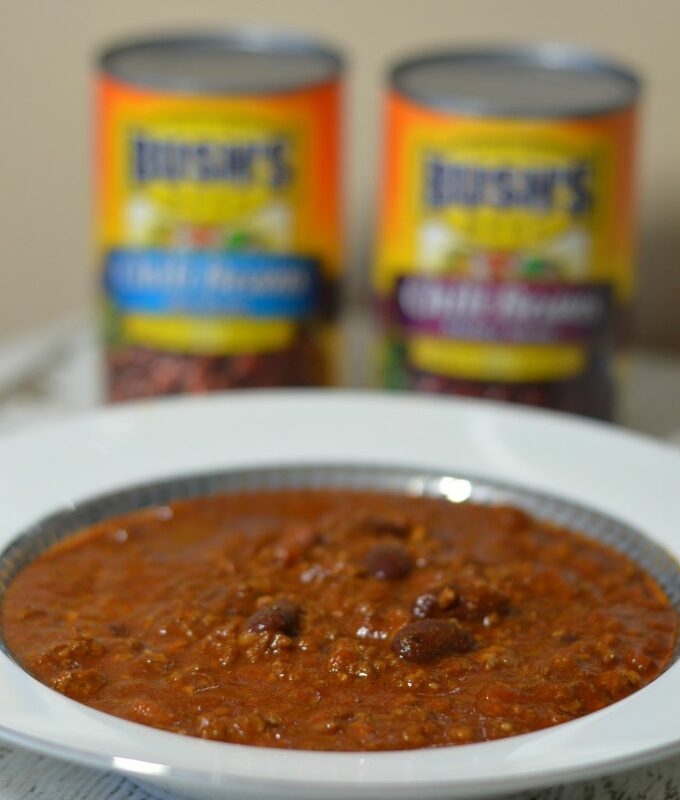 One of my secret ingredients include BUSH’S® Chili Beans, check it out! My husband and I are what some may call “Chili Connoisseurs.” Our love of chili has spanned over many years. We regularly frequent Chili Cookoff’s, walking booth to booth taste testing all the chili varieties and putting in our final votes. In fact we have attended TWO World Championship Chili Cookoff’s, even traveling hundreds of miles to take part in them. One would say we attend these events because we enjoy taste testing and taking part in the chili voting but we also have selfish reasons for attending the chili events: Research! 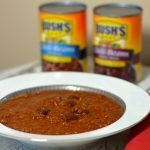 How else can we claim to make the “Best Thick & Meaty Chili Recipe“, even winning local friendly chili cookoff competitions, if we don’t do our chili research? So, lets talk about what makes our chili one of the “best” around. Hint: It may or may not have to do with BUSH’S® Chili Beans. I know they say”nobody does it better than BUSH’S®” but there is a reason they say that, it is true! 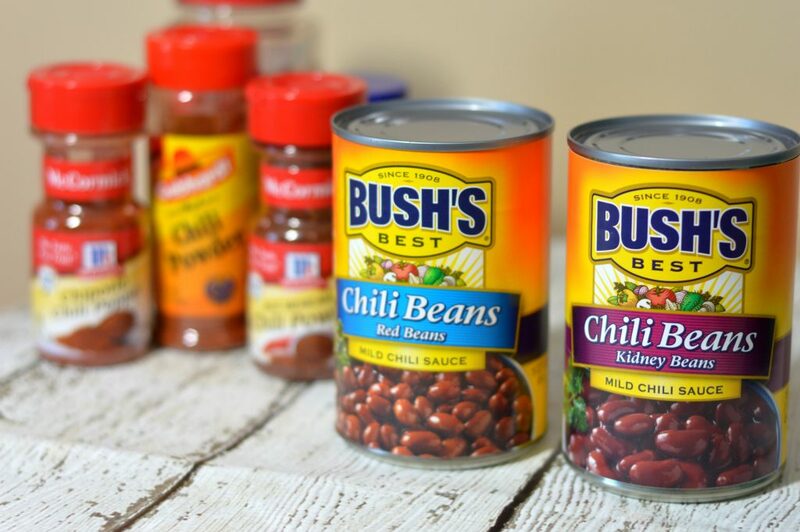 Not only is BUSH’S® a great bean to add to your chili but what I appreciate about it is the flavor. No straining the beans from the can, simply open and add the beans WITH the chili sauce. 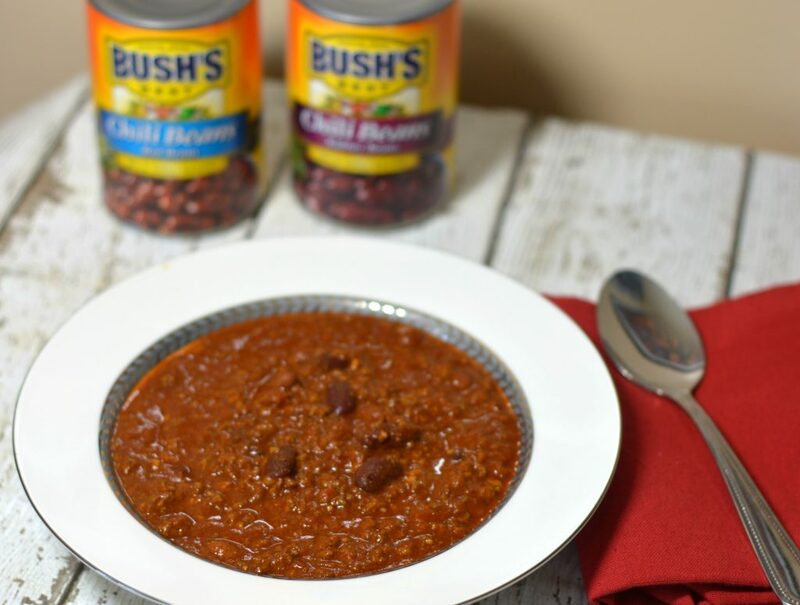 That is right, BUSH’S® Chili Beans are already simmered in their original chili sauces and are made with a special blend of chilies, spices, garlic and onions! These are the beans for the “best” chili recipe and one of my secret ingredients! I guess it is not so secret anymore. The second secret to the BEST chili recipe is the misture of chili powders. This is a secret I have learned when my husband and I first started attending chili cookoff’s on our quest for the best chili recipe. We not only mix different flavors of chili powders (examples: hot Mexicana Chili Powder & Chipotle Chili Powder) but we also include different brands that we trust. See all chilipowders in the ingredient section below. You’re probably aware the best chili recipes are those which simmer all day to really soak in the flavors and that is part of what creates the “best” chili around. Along with the all day simmer, the timing of the addition of ingredients is also extremely important in creating chili perfection! 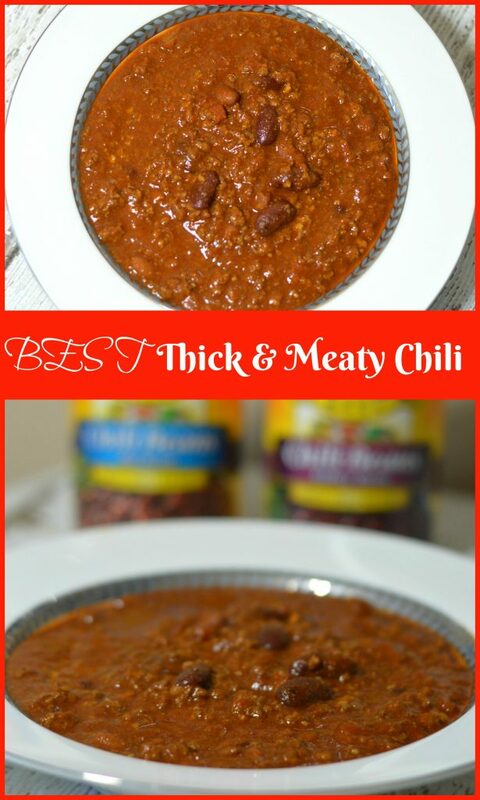 So without further ado, I give you the BEST Thick & Meaty Chili Recipe around! Saute the onions, green peppers, jalapeno and garlic. Add in sausage and ground beef and cooked until browned. Drain off the grease. Add 2 cans of beef broth, crushed tomatoes, 2 TBS of chili powder of your choice, 1 TBS New Mexico hot chili powder, 3 TBS Gebhardts chili powder, 1 TBS chipotle chili powder, 3 TBS ground cumin and 1 tsp salt. Bring to boil. Cover pot and set to simmer for atleast 3 hours. Stir every 30 minutes. 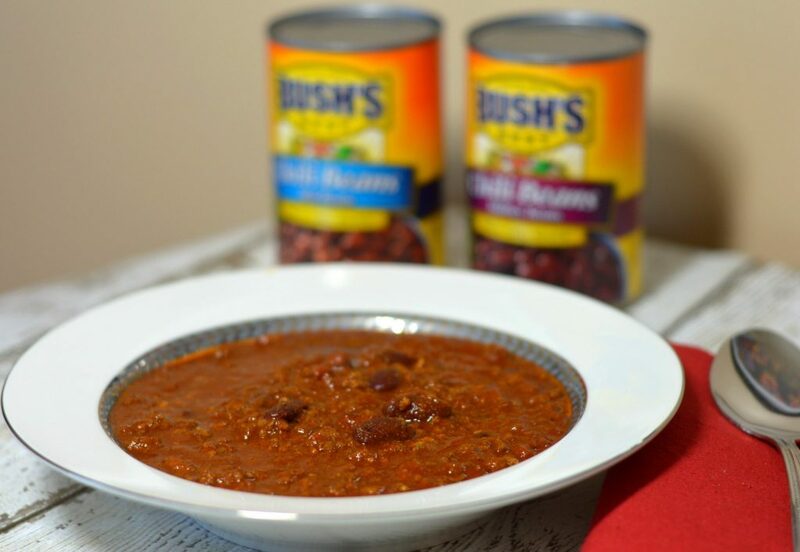 Add 1 can of beef broth, 1TBS cumin, 1 TBS Gebhardts chili powder, 1 TBS chili powder of your choice, 1 tsp lime juice and both cans of BUSH’S® Chili Beans. Simmer for atleast 1 hour, stirring every 30 minutes. 30 minutes before you serve your chili, remove lid to cook off excess liquid. Enjoy!